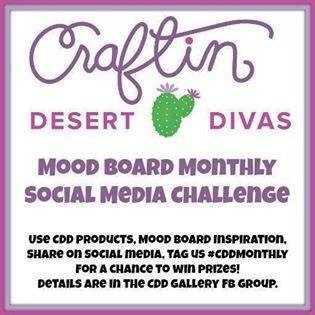 The monthly MoodBoard Challenge is still happening over at Craftin Desert Divas social media Facebook Gallery. 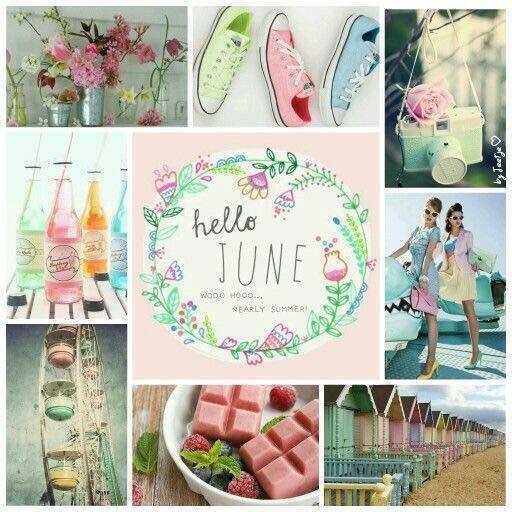 This month’s Mood board is filled with all kinds of lovely summer pastels and gorgeous summer moments. Today, I was inspired by the duo of girls in the right center box and felt they sort of deserved a bit of a princess classification. 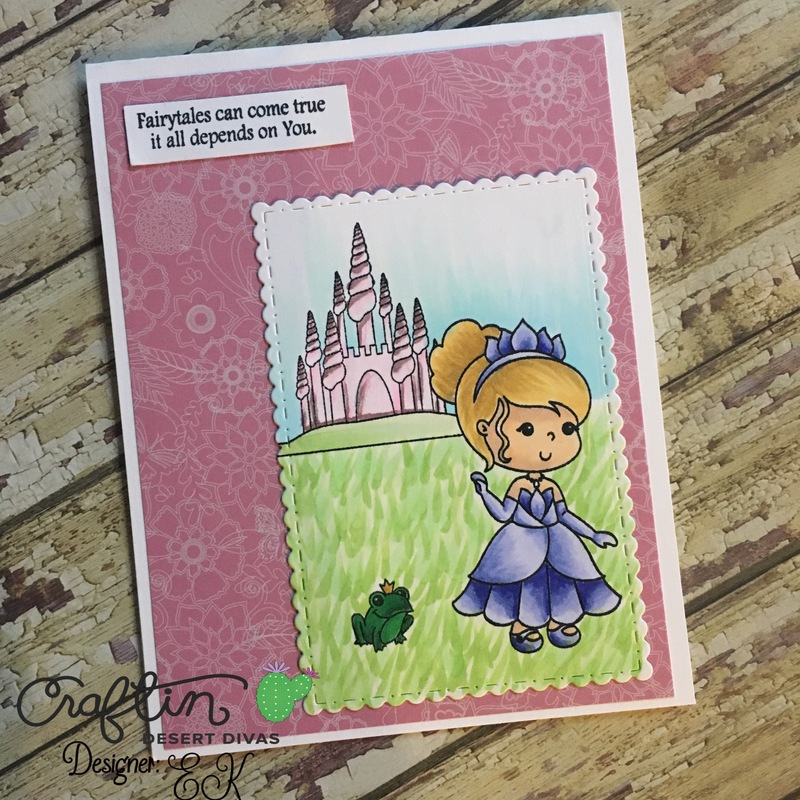 To create a card with that princess vibe, I pulled out two CDD stamp sets. The first was the fairy tale princess stamp set Fairytale Dreams and the background stamp set Enchanted Dreams. I pulled the most diverse of the princesses in the pack because I feel that this princess could be anyone. Today I decided to color her a little like Cinderella, coloring her in with my copics markers, using B60, B63, and B66. Then using the palest of pinks, RV000, RV00, RV21 I colored the castle in. I felt I sort of dropped the ball on the shadows so I added some pink spectrum noir sparkle pen to the castle. For the grass I added a bunch of YG21, YG03, YG23, and YG06. I know it is hard to tell, but lots of sparkle pen was added to the dress and even more clear sparkle to the castle. 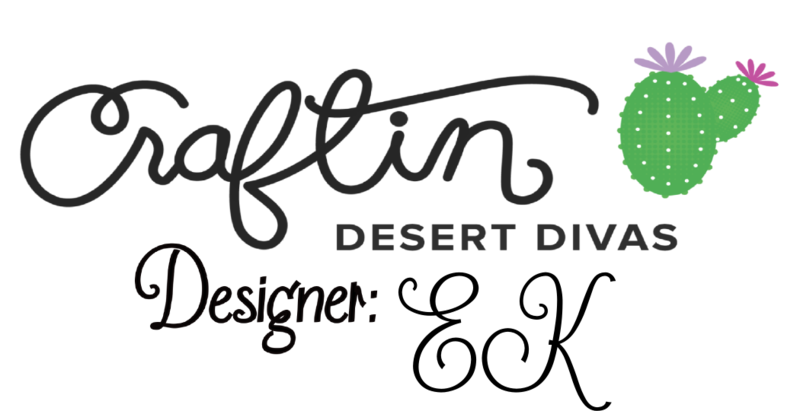 I die cut the image with CDD’s die set Fancy Frame Dies and backed the image with some pretty pink printed paper. I can’t wait to see what you do with the fun summer moodboard. Don’t forget to throw our handle #CDDMONTHLY so we can find you where ever you post!